Spiritual Dialogue between the Soul, the Body, Self-love, the Spirit and Humanity. St. Catherine of Genoa. How beautiful is life, health, wealth, entertainment, pleasure, possessions and all the gifts that God has given us. Everything seems to be on our side and may be within our reach, but we all have a common problem, something that we can't avoid: death and eternity. This reality applies to all human beings, whether they believe in God or not, it does not distinguish age, class, race, or religion. Many people live life to the full and believe that God is very good and merciful, and that they will never have to render an account of their actions the day of their death. See the Parable of the talents. (Mat 25:14-30). Many people will condition God to their own liking, one that doesn't demand through his commandments, one that will only give us good things and no bad things, one that has assured us Heaven. Some make God even easier and deny Heaven so that they don't have to expect anything, but they don't accept that besides Heaven, God has prepared Hell for those who do evil. Some people don't believe in Hell and they anesthetize themselves of the eternal fear of punishment with the fire that doesn't go out and the worm that never dies (Mar 9:48), many adopt the doctrine of Reincarnation and they believe that they are exempt from God's judgment, they think that they will have many lives and opportunities to perfect themselves. Others believe in Judgment and even in Hell, they try to live a good life, more or less, so that God will take them to Heaven, but they put a condition: no Purgatory. How easy it is for our Protestant brothers to criticize our Mother Church, they mock the doctrine and the reality of Purgatory, (Mat 5:26), since they believe that just accepting Christ as our God and Savior we are already saved. Man was created in the image and likeness of God, with an immortal soul, but sin has brought death, (Gen 2:17), this is why the dust of our humanity comes back to dust by Divine decree. (Gen 3:19). Christ the new Adam came to redeem us from the eternal death caused by sin and He gave up His Holy Humanity to pay for our sins, to give us eternal life through His gift of Grace. Christ has purchased us with His death on the cross and with His Precious Blood, so that we can be saved by Grace, that is the reason why we must be born again by the water of Baptism and the Spirit, to unite us to His mystical, body the Church. Jesus is our Resurrection and our Glory, but if we don't live for Him, His word will judge us and we will perish eternally. This the reason why the Lord began his public ministry saying: Repent, the Kingdom of Heaven is very near. As children of the New Adam, we have salvation in Christ, but we can also have condemnation if we despise His sacrifice on the cross, which was made for the forgiveness of our sins. This is why He Himself has left us His Body and His Blood as food, in the Sacrament of the Holy Eucharist, so that we can wash our souls and be purified for eternal life. The inevitable moment of death comes; the separation of the body and the soul. Are we ready? The body made from clay has its life limit, after all it is a temporal material creation, but the body is not alone. God has breathed His breath on the clay, He has created besides the physical mortal body, an immortal body of light in His image and likeness, that is, the Soul and the Spirit. The body has a mind that gives us intelligence and participates of the powers of the soul: memory, will and understanding. The soul is the breath of God, whose centre or nucleus is the Spirit. The soul is like a mirror that reflects all that is good and bad, done by the body. 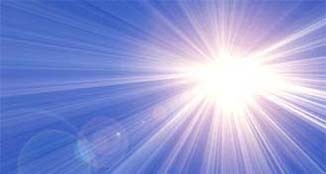 What is good is nurtured by light and makes it shine, what is bad is darkness and causes sickness and death. The soul was created to love, this is why it carries that wish to love God, but if it doesn't do it, and it gives itself to the loves of the earth and sin, it steps out of the purpose by which it has been created. The soul gets stained with sin and it can only be cleaned with repentance, confession, and the blood of Christ. The soul may be sanctified on earth when it does the will of God and not the human will, the reason is that self love is its main enemy, it manifests through pride. That is the same sin committed by Lucifer, it caused His fall. Sin takes the soul to sin, and sin to eternal ruin. Death is the moment when the soul, the breath of God, doesn't give more life to the human body and separates. The body dies, decomposes and comes back to dust, where it came from, but the soul being immortal, begins its journey to eternity. If we are not prepared for death, we are going to suffer a lot clinging to life, besides we are going to be surrounded by temptations of the devil who comes to claim what belongs to Him, since sin, authorizes Him to possess our souls; on the contrary virtue, takes us to Christ and thrusts us towards the light. We must live every day of our lives as if it was our last, since nobody knows the hour or the place, our lives are in the hands of God. We die, not only of old age, we can even die in the womb of our mother, or at the moment of our birth, or in our infancy, adolescence, or any time. Who has purchased his life? Who knows about that moment? This is why it is necessary to live a good life, and preferably to die in a state of Grace so that we may enter pure at the moment of our first Particular Judgment. Blessed are those who have had a devotion to the Blessed Virgin Mary and have asked Her, pray for us sinners, now, and at the hour of our death. No one who comes to Our Blessed Lady is unaided, since She is the New Eve, the mother of all those who live eternally for the Glory of God. We must have a confession at least once a month, so that we can always be conscious of sin, and if we always commit the same sin it is because we are not totally converted to the Lord. We must put a lot of emphasis on the commandments. The first 3 commandments tell us about the Love to God. The first commandment calls us to do adoration to God and to love our neighbour with charity, since we cannot claim that we love God, unless we love our neighbour. We must honour the name of God and do everything in His name, we must dedicate Sundays totally to the Lord. About the sins committed against the other 7 commandments, we sin against our neighbour. What must I do to avoid sin? 1 Sin is the excrement of Satan, it is that filthy mess of his wickedness, the succulent and delicious food sinners. 2 Sin is the poisoned food given by Satan to those who are hungry for disobedience, those who in their pride defy the Commandments and the Will of God. 3 Sin is the virus that contaminates the soul silently and takes it to death and eternal condemnation. 4 Sin is the money of Satan, which so many are eagerly searching, it is the weapon that the enemy uses to inflict mortal wounds upon us . 5 Sin is the clothing of the sinner, the make up that camouflages evil, the splendorous aura of the evil one who deceives so many naive souls. 6 Sin is the corruption that perverts with deceit, the pleasures, riches, lies, hatred and the complacency of the senses. 7 Sin is that cloud of comfort in which a person lives when the devil closes the eyes of the soul to the light of God. 8 Sin is the shadow of the devil that blankets friendly the person who is far from God. It is the sale contract of our souls to the enemy. It is the title of possession that gives credit to the devil as our owner. 9 Sin is the food of Eve, that sweet apple that in its bitterness has robbed us our immortality and continues being poison and death for all those who are disobedient. 10 Sin is the darkness that Satan offers us, so that we may stagnate in darkness and despise the light of God. 11 Sin is that beautiful mask that covers the face of death. 12 Sin is that horrifying monster that captivate us and deceives us with temporal satisfaction at the cost of eternal unhappiness. 13 Sin are the mortal darts that penetrate the soul, then pervert the spirit and takes it directly to condemnation. 14 Our sin is guilty of the death of Jesus on the Cross. Each one of us has personally crucified our Lord. 15 Sin is the wound of the soul, a stain that we cannot wipe out, a registry of our wrong doing. The mark of the devil, the number 666. 16 Sin damages our relationship with God. It destroys the sinner and its offended neighbour. The consequences of sin affect not only one victim but many people around. What must I do to leave sin? 1 First I must repent, I must ask God to pardon me, I have to ask for my conversion. I must examine the offense that I have committed before God, the damage that I have personally done, what I have done to my neighbour and the physical and spiritual consequences of my disobedience. 2 I must feel disgust and repugnance for all type of sin, I must study its consequences and reject roundly it influence. 3 I must walk away from the enchantment of sin, I must detest its fascination and condemn its justifications. 4 I must stay alert to overcome temptations and thus avoid sin. The proverb says that the dog returns to its vomit. If I come back to sin is because I have not repented. Period! 5 I must have a sacramental confession at the first opportunity after having sinned. I must confess not only my sin but also my guilt, and the consequences of my sin. I must promise God never to offend Him again. I must overcome the world, the devil and the flesh. 6 I must make reparation for my sins, physically and spiritually. I must do many good works; acts of faith, hope and charity, so that I may be well with God. 7 I must remember that my sin is like a slap to Jesus' face, it is to nail Him on the cross, to mock Him, to turn my back on Him, to assassinate Him and to to assassin my soul at the same time. 8 I must live in the Presence of God, seek His light through His Word and the Sacraments. 2Pe 2:22 What they have done is exactly as the proverb rightly says: The dog goes back to its vomit and: As soon as the sow has been washed, it wallows in the mud. 1Jn 3:6 No one who remains in him sins, and whoever sins has neither seen him nor recognized him. 1Jn 3:8 Whoever lives sinfully belongs to the devil, since the devil has been a sinner from the beginning. This was the purpose of the appearing of the Son of God, to undo the work of the devil. Rom 6:23 For the wage paid by sin is death; the gift freely given by God is eternal life in Christ Jesus our Lord. Mat 5:37 All you need say is "Yes" if you mean yes, "No" if you mean no; anything more than this comes from the Evil One. Rev 3:16 but since you are neither hot nor cold, but only lukewarm, I will spit you out of my mouth. 2Ti 2:22 Turn away from the passions of youth, concentrate on uprightness, faith, love and peace, in union with all those who call on the Lord with a pure heart. Sir 21:2 Flee from sin as from a snake, if you approach it, it will bite you; its teeth are lion's teeth, they take human life away. Joh 8:21 Again he said to them: I am going away; you will look for me and you will die in your sin. Where I am going, you cannot come. 1Co 6:18 Keep away from sexual immorality. Pro 14:16 The wise fears evil and avoids it, the fool is insolent and conceited. Pro 22:3 The discreet sees danger and takes shelter, simpletons go ahead and pay the penalty. Eph 6:10 Finally, grow strong in the Lord, with the strength of his power. Eph 6:11 Put on the full armour of God so as to be able to resist the devil's tactics. Eph 6:12 For it is not against human enemies that we have to struggle, but against the principalities and the ruling forces who are masters of the darkness in this world, the spirits of evil in the heavens. Eph 6:13 That is why you must take up all God's armour, or you will not be able to put up any resistance on the evil day, or stand your ground even though you exert yourselves to the full. Eph 6:16 and always carrying the shield of faith so that you can use it to quench the burning arrows of the Evil One. Eph 6:17 And then you must take salvation as your helmet and the sword of the Spirit, that is, the word of God. 1Jn 5:18 We are well aware that no one who is a child of God sins, because he who was born from God protects him, and the Evil One has no hold over him. 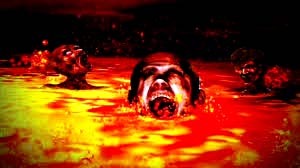 Hell is a place of punishment for those who offend God and don't repent, for those who despise the Mercy of God and don't accept Jesus as our Lord and Savior. God doesn't condemn, but His Word will judge us of all our bad acts, Jesus came to save us but the sinner that doesn't come to Jesus is in danger of losing his life eternally. The soul that we have received from God is immortal, since we have been created in His image and likeness. After the Final Judgment, there will come the resurrection of the dead, and those who despised God will be condemned eternally in body and soul. Rev 20:11 Then I saw a great white throne and the One who was sitting on it. In his presence, earth and sky vanished, leaving no trace. Rev 20:12 I saw the dead, great and small alike, standing in front of his throne while the books lay open. And another book was opened, which is the book of life, and the dead were judged from what was written in the books, as their deeds deserved. Rev 20:15 and anybody whose name could not be found written in the book of life was hurled into the burning lake. Heaven is a place of eternal reward, where we gather what we have planted during our lives. Jesus came to save our souls by Grace, through His death on the cross. By His death He has given us life, by His Holy Wounds we have been healed and by His Precious Blood we received life for our eternal life, since He is the Resurrection and the Life. If we repent of our sins and come and receive Christ as our Lord and Savior, we will secure Heaven. This is the reason why we must die in a state of Grace and we must purify the stains of our sins with His Precious Blood. Jesus is truly present with us, Emmanuel, announced by Isaiah, 700 years before His Incarnation. Jesus is truly present in the Most Holy Sacrament of the Altar, where He is waiting for us to embrace us with His paternal Love. The Holy Eucharist is the door to Heaven, Jesus is that bridge between Heaven and earth. Outside of Jesus there is no Salvation nor Heaven. The Soul that God has given us is immortal, because we have been created in His image and likeness. 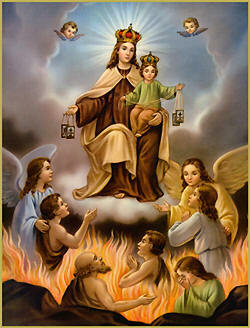 Before the Final Judgment many souls may go to Heaven and enjoy with all the Blessed the beatific vision. After the Final Judgment, there will come the resurrection of the dead. Those who honored God and are written in the Book of Life will be glorified in body and soul. IV. How all Men will Await Christ�s Coming in the Vale of Josaphat. V. On the Appearance of Christ�s Cross in the Heavens. Reality of Hell, Heaven, Purgatory.